January to March are inherently a PE teachers nightmare. You could have the best planned lesson only for the North Yorkshire weather to intervene. Being a former pupil of Fyling Hall I remember vividly games lessons this time of year. We would regularly be unable to use the sports pitches as you would be shin deep in mud! We had no sports hall or all weather pitch. Something which is almost unthinkable nowadays. This was often a time when lessons became creative! Some of my fondest memories are of these such special lessons and ones which set Fyling Hall apart. The sight of Mr Blackwell appearing from the staff room armed with a staple gun and a stack of cards often meant that we would not be playing rugby, but something quite different! 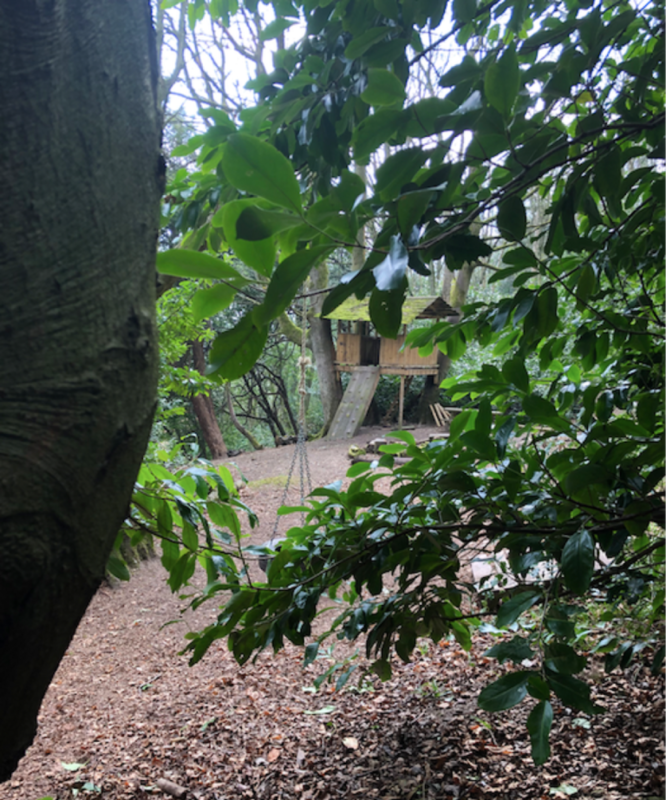 Most pupils have played “up woods” or a “chase”, which takes place in the woods just above the school. It is essentially a strategic game of tig, where one team tries to get across the woods with a ticket that they hand in for a point, catchers of other teams try to ambush you to stop you scoring. This evolved from one of the many games I played as a pupil. But probably one of my fondest memories was the afternoon where we had to follow a trail of cards left by the staff, not just through the woods but around the entire valley! It is fair to say that this happened in a time when health and safety was probably something as a child you had never heard of! Planning a risk assessment which involved more than just your everyday slips, trips and falls would have been almost impossible. As I left school with a group of friends down the road towards Low Farm we followed the yellow trail of cards until we reached the bridge at the bottom of the hill. Here was our first test, the trail hopped over the wall and followed the stream. We stopped and thought for a moment that the route may have gone wrong, but on we followed! The stream meandered on for what seemed like an age until we came to a huge tunnel. We were all surprised by the sight as it looked like something a train could pass through let alone a small beck. Looking around for clues we could not see any more tickets, we were hemmed in either side by steep banks and nowhere to go. We stood back and looking up we muttered something very John McEnroe “you cannot be serious”, IN had been written above the tunnel with large arrows pointing inside! Hesitation, peering into what looked like a black vortex of doom the light gradually faded. Onwards we went! Tentatively it has to be said! Steadily as we crept into the tunnel the level of the water began to rise, first covering our shoes, then our knees, on we went. Probably about 100 feet or so we could not see anything just blackness, your heart felt like it was going to burst from your chest. It is probably at this point I should mention that the aim was not just to catch up to the teachers who were laying the trail, to be honest I’m not quite sure what the aim was! But upon catching up to the teachers the hard part would begin. Now unlike a conventional game of tig where you simply tig the person you were trying to catch, we had the task of trying to remove the teachers headband. The headband was your life, to catch someone you simply had to lift the band off their head or pull it down off their face. This went both ways! Now imagine a group of 13-14 year old boys on a Fyling Hall diet (pretty slim) trying to tackle a group of teachers, probably just heading out the other side of their physical prime, with full beards just to add to the intimidation! I had never heard or a pupil removing a teachers headband, if they had this would have gone done in Fyling Hall folklore! Back in the tunnel the water was over my waist, up to my chest, next we were swimming! The tunnel bared right, on we swam. Then we heard something, a small ripple in the water. We could see the faint reflections of light beginning to trickle in from the far end of the tunnel. Just enough to see two big white eyes peering just above the surface of the water, like a crocodile stalking its prey preparing to strike. A teacher!